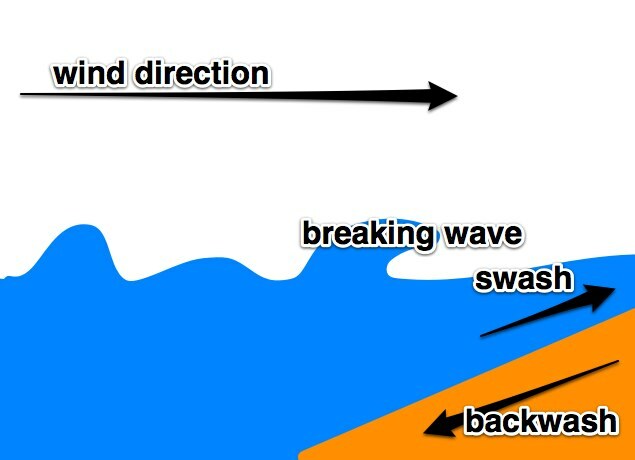 As the wave approaches the beach, it slows down due to friction between water and beach, and this causes the wave to break. Destructive waves destroy beaches. Back wash has less time to soak into sand. So it carries a lot of sand with it. As waves continue to hit the beach, more running water carry material to the sea.